I do believe Pentowan Farm is still there. Haven't been that way for a long while though. Speaking of Noak Hill, it's a shame they don't revert the 294 but to the old North Hill Drive terminus. It hasn't done so since routemaster days and I agree about the stupidity of the 130 going via Grosvenor Road. In all my years at Kingston, first time I have seen a bus use the stand there. The official destination display is Norbiton Church for this turn which is confusing as the buses finish at Manor Gate Road stop for this stand (I say confusing as a new intermediate stop was added few years ago near Norbiton Church, called Gordon Road) and there is a stop called Norbiton Church on 213 neither of which are served when buses use this turn. Not sure how many other turns officially require a destination to be displayed which is 2 stops beyond where passengers have to alight. You are right, that stand is hardly ever used but I've seen the occasional LU bus stand there. It does bother me the stop arrangements, why not just call the turn Norbiton/Kingston Gate instead of Norbiton Church. Kingston Gate would be far more useful and more accurate to the passenger. Note the top red strip states 'Authorised bus stand' (the lower one is the usual 'engines off') but the road markings indicate parking for cars at the stand! Interestingly, despite adjoining roads being a combination of Mon-Sat resident permits and P&D, there appears to be no such restriction on Dee Road. However trucks and buses may NOT park here between 6:30pm and 8am according to a small yellow sign on a nearby post. Not sure about the Dee Road stand. I don't think it has been used for awhile. The 371 now has its own stand at the Manor Circus Sainsburys rather than sharing the stand on Lower Mortlake Road. Just looking through the 34's offical turn points & 2 things stood out to me. First was the Totteridge & Whetsone stand located in the LU car park. Considering no buses serve the car park, that stand is pretty rare indeed. Another thing was the New Southgate stand; which has succumbed to reidents' wishes and was turned into a car park!! Righto - apologies first for 'bumping' this by a couple of weeks, and also for not contributing too much (as Enviro set the thread up with my questions in mind)......as some of you may remember, I had to wait a while for Virgin to come and sort my broadband/TV/phone....the day was yesterday! Looking at the route 5 record, I spot on the Plaistow Balaam Street turn, doing a west-to-east curtailment, it states the last stop is in Barking Road stop BC (which is Balaam Street, fair enough), but then the next stop on the route is BN, which is New City Road. Is this an oversight or is the stop at BM (Plaistow Prince Regent Lane) too tight to be served by a bus coming round the corner from Greengate? Admittedly I haven't been that way for a while to have a look. The turn seems long too, from stop BC to BN being around 1 mile. Also, the Five Elms turn, which has been reported on here several times never gets used, doesn't seem as big a deal as I thought. From the Canning Town end the loop round from stop N (Winmill Road) to stop M (Boxoll Road) is 0.3 miles (same distance on the turn from Romford too), which is pretty short compared to the Balaam Street turn and also the 93 Sutton Common Road turn discussed. Now - I'm not sure if I'm reading the Bennetts Castle Lane turn right - so from Canning Town (the only direction it was mentioned), it goes slightly off the normal route to set down at stop NL, which is normally just for route 364. Then, it heads all the way up Bennetts Castle Lane, then Becontree Avenue and Valance Avenue - the bit I don't get in the route record is why Porters Avenue is mentioned. As far as I can see from the map it just turns straight back into Wood Lane again, to stop WS. The Bennetts Castle Lane turn used to be set down and stand at the 364 (148 in old days) then buses would turn there (as the road layout meant it forked at the junction with Longbridge Road) so would turn right into Bennetts Castle Lane, then right into Longbridge Road. The Balaam Street turn is one of the more lengthy & cumbersome turns. Most routes used to have both Balaam Street and Plaistow Greengate as an offical turn; the latter was the same turn but done in reverse! If ever used, buses prefer to use the Perth Road bus stop as a stand; with the Greengate turn, pretty much the 276 only uses it and they stand impromptu at the Plaistow Broadway stop for the 241/325. Five Elms is simply a combination of tight roads and uncertainty/hesitation to carry it out because the roads do rather look the same. Remember seeing an N15 pull it once maybe sometime around late 2012; even if roads were royally chuffed then controllers would still find it hard to give that turn. What's interesting is that GAL used that turn more than Stagecoach did in the 9 months of the EL2 getting extended to Becontree Heath. I suspect Five Elms would disappear to the abyss after LTs would (I'm assuming) make the turn too tight to perform for Routemasters. Bennett's Castle Lane is the go-to stand for all routes that pass through Martin's Corner (and the 368 along Becontree Avenue). The 364 is the rarest to pull this turn; outside of Ilford & Dagenham East, the bus route can only terminate there so disruption has to be significant to pull this turn. I checked the 62's specs and it's allowed to pull Becontree, Green Lane from Marks Gate....whether it goes straight to BK or on stand is another matter!! Just gone through there on StreetView.....yes, I see what you mean, didn’t realise it only *just* touches Thompson Road though. Also it can be hard to gauge road widths on StreetView, but looking at the relation of car widths and the road, I can see where it may be tight. Plus, yes, you’re right, it does all look similar and could be easy to miss Five Elms Road heading back to Wood Lane. Interesting about the EL2, the route hadn’t entered my mind. One project for the new year (if I find a good one in the new year sales) might be to get a bike camera and go and do a few of these turns on it. StreetView is good but going along is interesting too. Some curtailments do not get used as much as others due to the QSI points and mileage lost. Certain curtailments could take out 2 QSI points as TfL take the view witht he 4 stop rule that someone boarding a bus 4 stops before the bus is due to curtail would not board it. So 3 stops prior to this point of curtailment, mileage would be taken off, worst if QSi point is within this stop. It is best to take out as less QSI points as possible with curtailments. 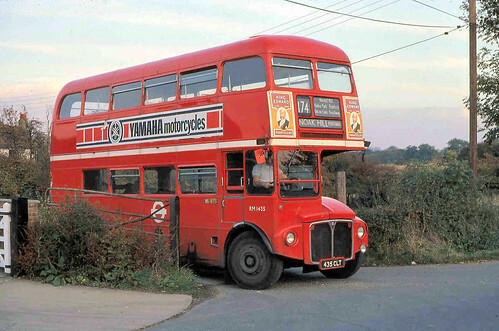 While you're here RandomBusesGirl , have you seen any bus on the stand at Bective Road in Forest Gate? 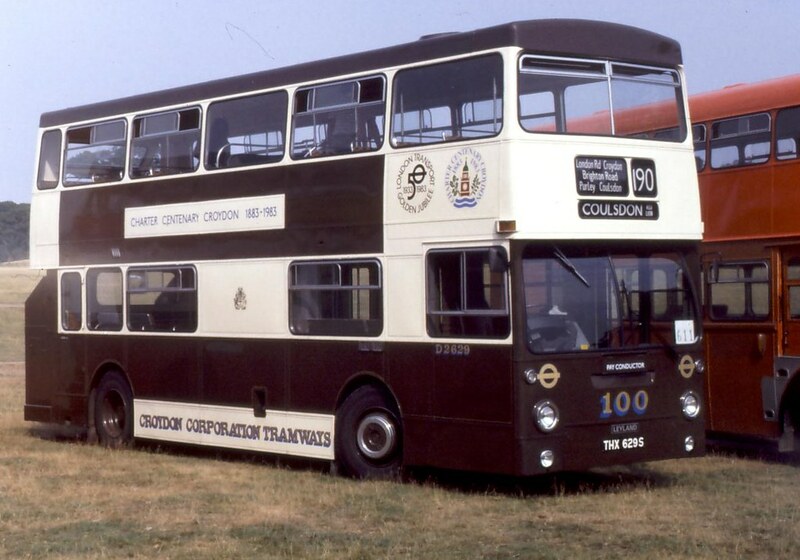 My hunch is that it was meant for the 58 (curtailed from Walthamstow) or routes 101 & W19; as their Aldersbrook turn allows them to come as far down as Bective Road to turn. We used to use that stand years ago when the 58 was run out of [T]. that Bective Road stand was if you got turned to Wanstead Flats/Park from Walthamstow Central. Whetstone 'Griffin' turn used Totteridge and Whetstone station car park as you mention. Used to be used when Arriva run the 34. Also same goes for the Barnet 'Odeon', although most of the time you would stand on the first bus stop to go back to Walthamstow.